» RUY BLASS de Bernis, Etalon disponible à la saillie, Nouvelle vidéo! Chacun veut avoir sa part du butin et les Hot-dogs on l'air bon en sapristie ! Voici maintenant trois vidéos sur les méthodes d'assemblage de leur teardrop. "While we already have an older video showing this process, this is a much better and more up-to-date video showing our method for turning a stack of cut parts into the initial teardrop body. All wood parts are very high-end Baltic Birch with incredibly durable UV finish and cut to incredibly tight tolerances on our CNC machine. Our dado/glue/screw method of assembly makes for an incredibly strong and rigid body... Visit our website and other social media for more info.."
Just a quick video showing a part of the roof-underlayment installation process. It's very important to have this thin plywood skin covering the outside of your teardrop before you install your aluminum (or fiberglass, etc), because it adds enormous amounts of rigidity and strength to the body of your teardrop. It also does a nice job providing backing support for your aluminum if that's your exterior skin choice." 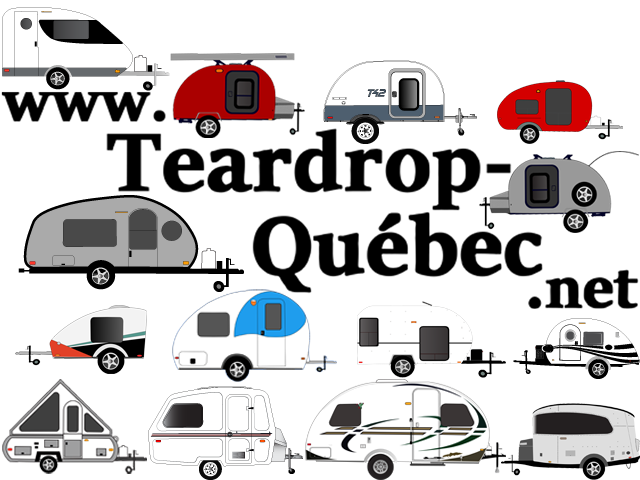 "Here's a quick vid showing our process for insulating our teardrops. If you attempt these methods, please be careful. Rigid insulation panels are very effortless to cut using a table saw, but can bind on sawblades very easily and can cause kickback, which is the number-1 cause of table saw injury. So take it slow to start so you can get a feel for how your saw will react to the material..."
Découpe des composantes au CNC: là, tu parles!